We have a range of options for Advent and Christmas. Our Ultimate Carol Set is the most comprehensive with 119 accompaniments of carols for congregations and choirs, providing accompaniments for the entire contents of Carols Ancient and Modern. Alternatively, you can go for one or more of our individual Advent and Christmas discs, which you will find on this page. 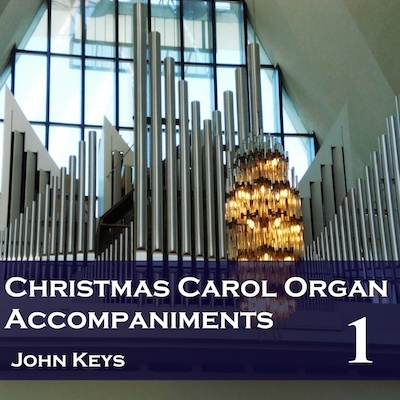 These accompaniments mostly use arrangements from Carols for Choirs where possible, fine for congregations to sing, but including descants, and featuring six carols best suited for a choir to sing alone. The Advent disc contains all the advent carols from Carols Ancient and Modern - 21 in all. Albums are available as CDs - or simply download whichever tracks or albums you want, while the Ultimate Carol Set is also available as MP3s on a disc or memory stick. There are no voices on these recordings, just a playover (in congregational carols) and the accompaniment. Any or all of the tracks for these albums can also be download from Amazon and iTunes, while the Core Christmas set (Christmas Carols + More Christmas Carols) or Core Plus (Advent + Christmas Carols + More Christmas Carols) can be downloaded as single purchases directly from us. To download the Core or Core Plus Christmas set from us, use the Buy Now button here. For individual tracks or whole albums from Amazon/iTunes use the appropriate button in the Carols Included section below.